Iwan M Williams & Co is an independant estate agent in the conwy Valley offering over 20 years experience as the leading valuer and agent in this most beautiful part of North Wales. Our office is located in the heart of the traditional and historic market town of Llanrwst in the Conwy Valley on the outer edge of the Snowdonia National Park. The area we cover includes the popular and picturesque village of Betws y Coed, the beautiful Machno and Lledr Valleys, ranging from the Snowdonia mountains down to the coastal towns of Conwy, Llandudno and Colwyn Bay. The staff are experienced and friendly and offer an unrivalled professional service in this part of Snowdonia. We endeavour to provide traditional values whilst embracing modern technology and the most advanced marketing techniques. 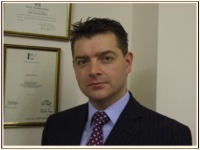 Iwan M Williams & Co are members of the National Association of Estate Agents, a Regulated RICS (Royal Institution of Chartered Surveyors) and a member of the Ombudsman Service. Iwan M Williams MRICS, FNAEA is a past Chairman of the North Wales Management Board of the RICS.